You probably heard the news or read somewhere the two British tourists brutally murdered at Sai Ree Beach in Surat Thani. The province, as we all know, is a haven for diving enthusiast and a mecca for full-moon party-goers. If you don’t know the story anyway, then allow me to tell you. The British nationals, both 24, were found dead near their budget bungalow yesterday between 4 and 5 am. 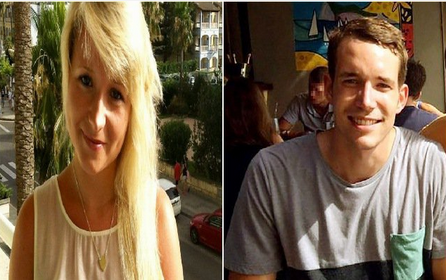 The woman was identified as Hannah Witheridge from Great Yarmouth, Norfolk while her male companion was from Jersey, identified as David Miller. Police suspect the woman was also raped as her skirt was hiked up to her waist and t-shirt pulled up. The male victim on the other hand had a blunt blow to the back of his head and was naked on his back. They found at the crime scene a hoe covered in blood, believed to be the murder weapon. According to Surat Thani provincial police chief Maj. Gen. Kiattipong Khawsamang, the two travelled separately to Koh Tao, and met at the same seaside hotel. “They went out to a bar and left together after 1am, according to closed circuit TV camera footage,” he said. Manhunt is underway, and although police believed the suspect could be long gone, residents still blocked all exits from the island and stopped all ferry schedules when the bodies were found. I believe this is a random crime. And just like anywhere else in the world, things like this transpire. I’m sure most people in the Kingdom will agree with me that Thailand is still safe for foreigners to visit.